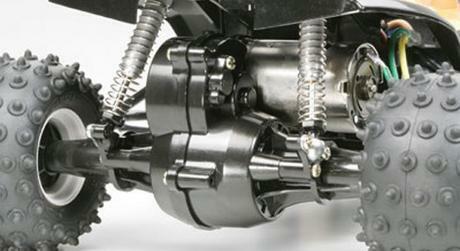 The revolutionary 1984 2WD off-road buggy is back and more fun than ever before! 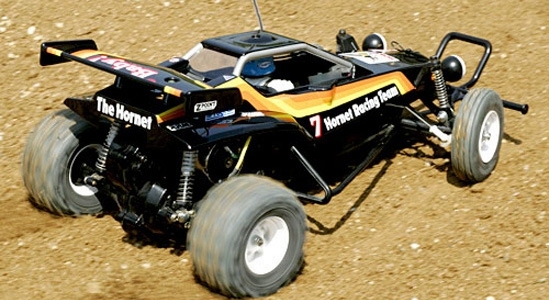 The Hornet stands as one of Tamiya"s most popular R/C cars ever released, helping launch a 2WD R/C buggy boom worldwide. 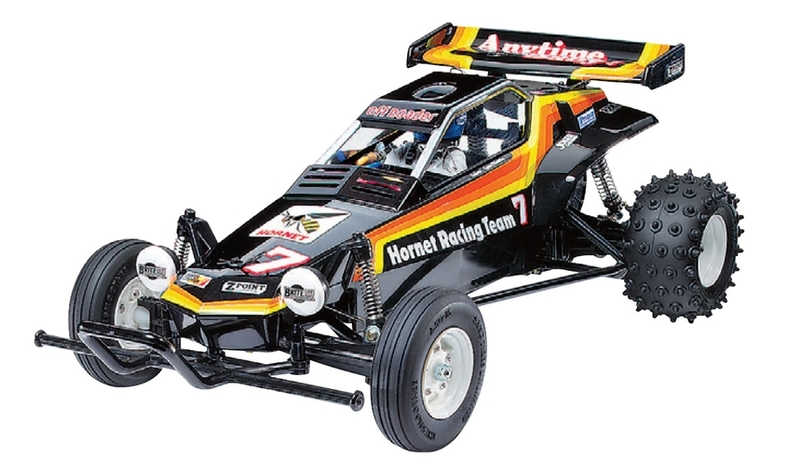 Featuring excellent performance on both dirt and on-road tracks, this awesome buggy can take on any type of terrain. 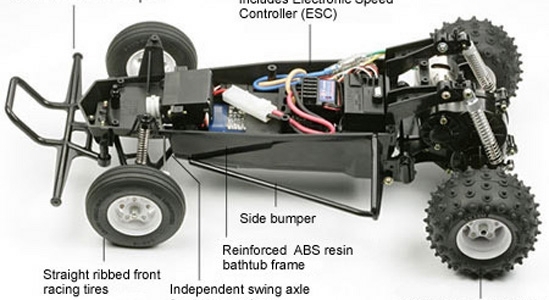 Just like the original, this re-release features an easy to assemble chassis and drivetrain consisting of a durable but lightweight ABS resin bathtub frame, diff gear loaded sealed gearbox, oil filled rear dampers, powerful RS 540 motor and high performance suspension system. 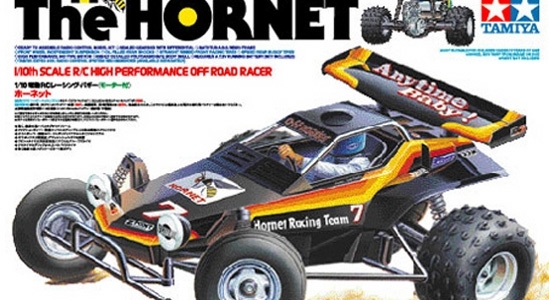 The Hornet is perfect for those that used to have one, those that have always wanted one, and for those that want a revolutionary buggy that has earned its place in R/C history.